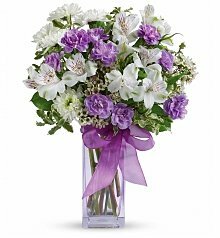 A beautiful bouquet of get well flowers will brighten any day! 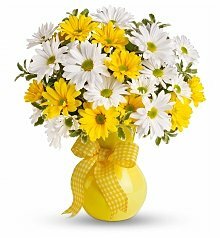 If someone you know is confined to a hospital room or bedroom, it’s always a good idea to add a splash of color and freshness to the room with the gift of get well flowers. 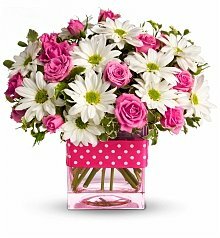 Flowers are the classic get well gift. 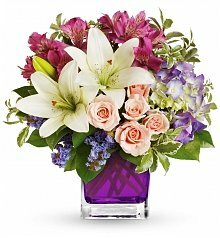 With their bold colors and irresistible fragrances, flowers always make a room seem brighter and full of life, which can be very important to someone feeling under the weather whose days can seem bland and long. 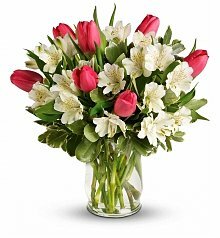 Whether it’s a simple cold or a serious operation, get well flowers let the patient know that you are thinking of them even if you can’t be there in person. 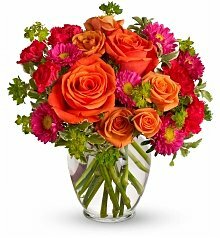 It’s amazing what a difference the simple gesture of get well flowers can make during an unpleasant experience. 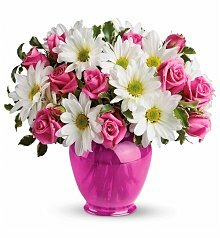 Every time the patient looks at the flowers, they will think of you and your get well wishes. 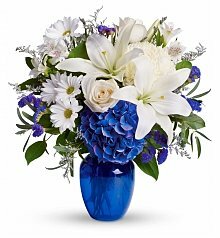 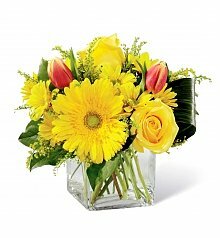 With their lasting brightness and natural appeal, your gift of get well flowers is sure to be appreciated with every glance. 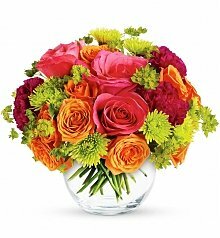 Each ancient culture had their own interpretation of the history, meaning, and significance of flowers. 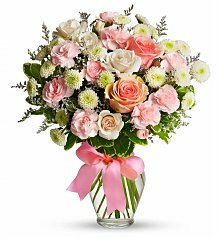 During the Middle Ages, harsh restraints placed on courtships led to the development of flower meanings where couples could exchange secret messages through the flowers they gave to each other. 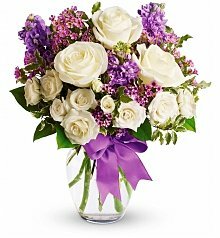 Today individual flowers still hold special meaning. 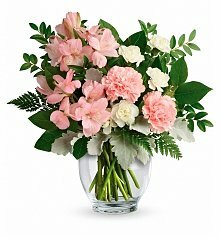 In terms of get well flowers, an azalea can mean “Take care of yourself for me” while a crocus can mean “Cheerfulness.” Other memorable get well flowers include the pink camellia, which means “Wishing for you.” Whatever your sentiments may be and whichever flower you choose to send, your get well message will be sent with gracious elegance when you send a beautiful bouquet of get well flowers. 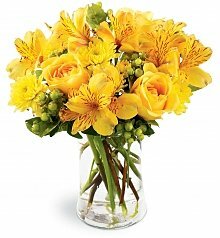 Even though certain flowers have special meaning in relation to getting well, flowers of all shapes and sizes are always appreciated. 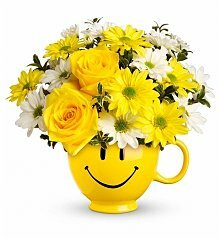 For instance, we offer get well flowers with jubilant balloons that feature giant get well messages. 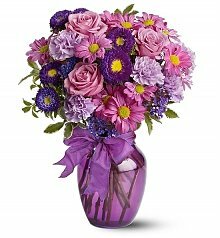 The combination of balloons and flowers is sure to bring a smile to anyone’s face, no matter how crummy they may be feeling. 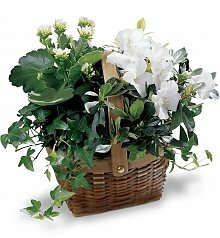 The get well gift of a live planter is always appreciated, too. 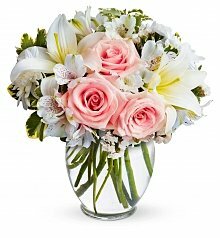 Not only does a living plant give inspiration, but it is a lasting gift that they can bring home from the hospital as they continue to recover. 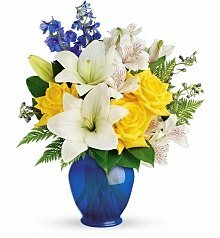 Tropical plants are always appreciated for the exotic flair they bring into an otherwise plain hospital room while bouquets that feature a teddy bear are especially valued for the cuddly hug the teddy bear can offer. 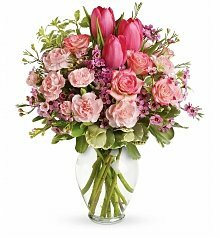 Whichever gift you choose, your beautiful get well flowers are certain to be appreciated by anyone feeling under the weather.